On Sunday the fiance and I took a trip into Red Hook to do a cake tasting at Baked. This was our 3rd cake tasting in the span of 5 days. At least we spread it out....Anyway this little red lobster scarf from Hugssy and Calvin Klein hat have quickly become my favorite spring go to accessories. 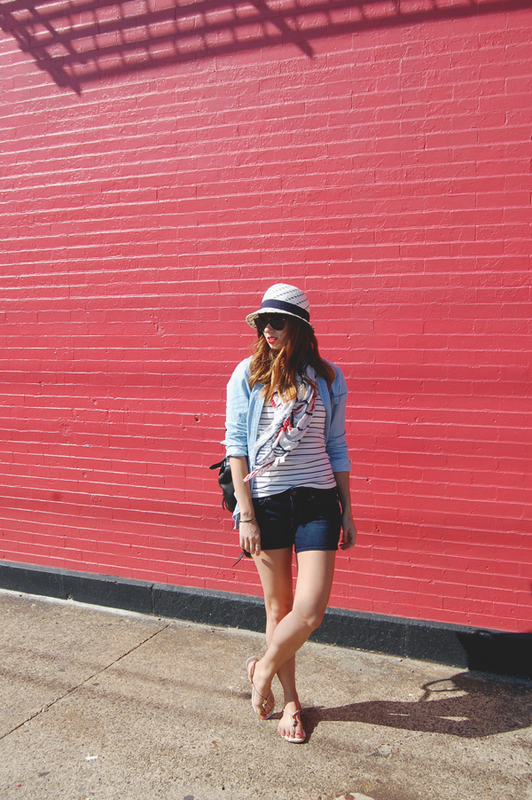 They have a nautical feel to it and I love that I can throw them on and feel dresses up even on the most casual days. My grandparents live in Hyde Park - it's so beautiful up there. Hope you're having some luck with the cake tasting! 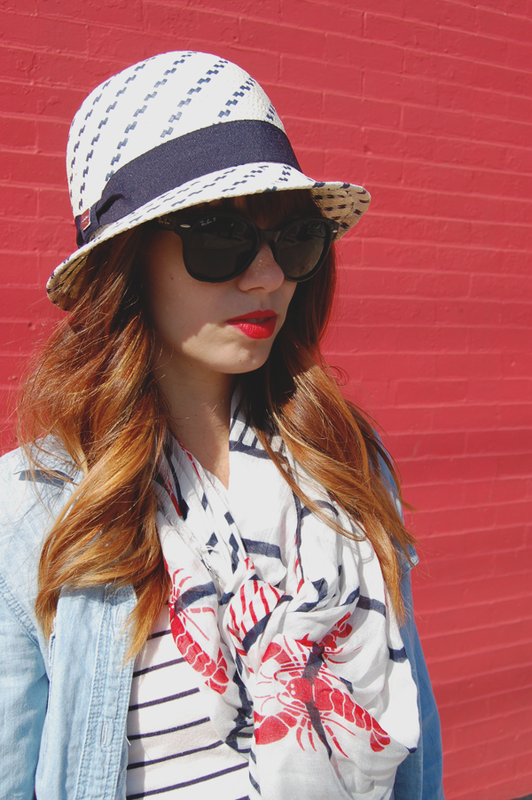 I adore this nautical look and that lobster scarf is too cute. Also, you're reminding me that I need a new pair of jeans shorts for summer! 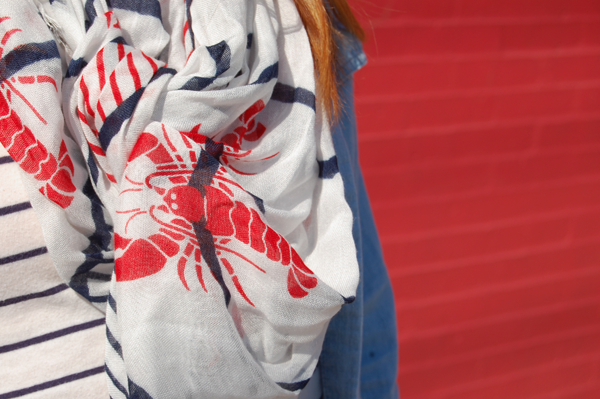 love that nautical lobster scarf! 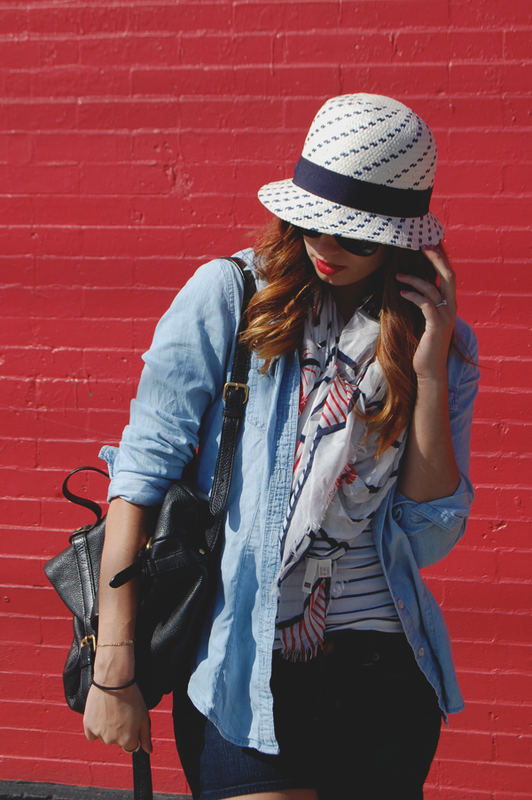 It would be perfect as a head wrap in warmer weather for the 4th of July! So nautical - love it!